It is the conquest of Electricity, the mysterious motor of worlds, that has permitted Mankind to change what appeared to be immutable, to restore the ancient order of things, to resume control of Creation, and to modify what was once believed to remain eternally above and beyond the reach of human hands. ILLUSTRATED WITH 100 ORIGINAL ILLUSTRATIONS BY ALBERT ROBIDA. In Electric Life (1892), Albert Robida imagined the life of the future, imbued with all kinds of fantastic devices meant to simplify the lives of their users. The father of science fiction illustration, and the author of The Clock of the Centuries and The Adventures of Saturnin Farandoul, Robida (1848-1926) was the most significant of all of Jules Verne's successors. The novel follows the adventures of the great inventor Philox Lorris, who wants his son to marry a woman whom he does not love, instead of his sweetheart, whom Philox dislikes. This traditional love triangle allows Robida to unleash his sarcastic predictions, extrapolating them to what he thought were absurd extremes; but which today's readers will think tame in comparison with our modern world. 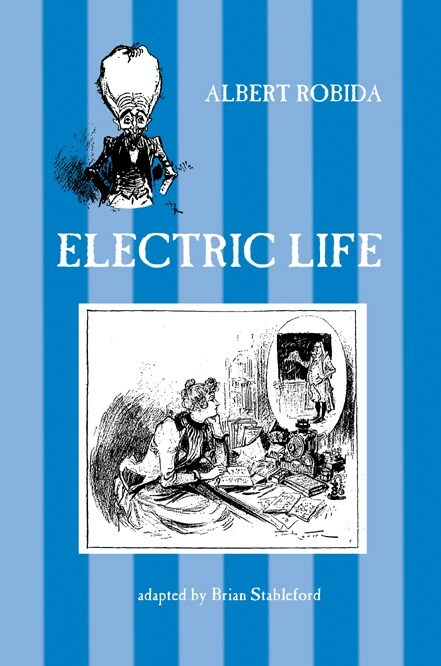 Electric Life no longer qualifies as futuristic fiction, or alternative history, but it does qualify as steampunk fantasy -- perhaps the ultimate steampunk fantasy, given that it possesses an innocence that no modern writer, jaded by an excess of historical knowledge, could ever duplicate.